Being informed about product ingredients is important. I take great efforts to become informed about the ingredients in products I use and try to find simple, healthier choices when it comes to hygiene and beauty care. Of course, I need them to be effective, too! In looking for better feminine hygiene products, I came across a new line from Summer's Eve™ that boasts simplistic ingredients. 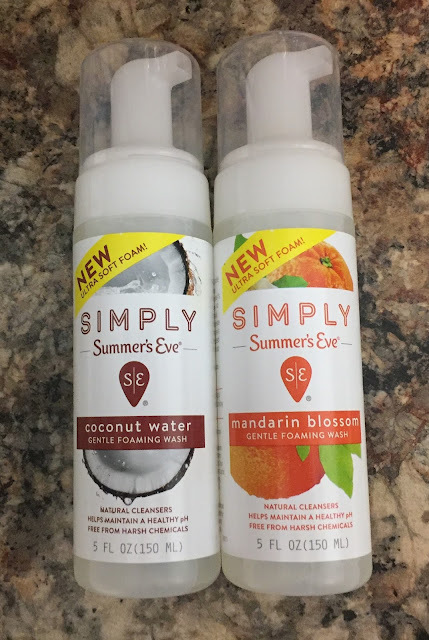 It's called the Simply Summer's Eve Collection and I couldn't wait to give some of the products a try. 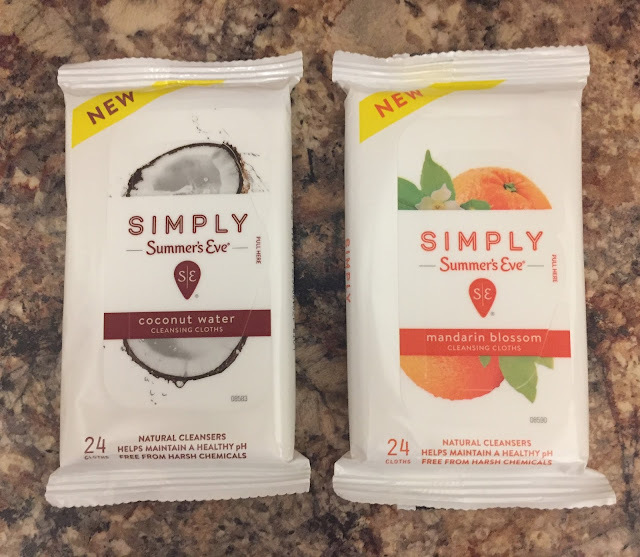 Free of harsh chemicals, dyes, alcohol and parabens, the Simply Summer's Eve products help me to feel better about what I'm putting on my body. I appreciate having fewer, simpler ingredients in comparison to the standard products on the market today. Specifically, I tried the Simply Summer's Eve™ Gentle Foaming Wash and Simply Summer's Eve™ Cleansing Cloths. Check out my thoughts below! The Simply Summer's Eve Gentle Foaming Wash comes in an easy-to-use pump bottle which releases a foamy cleanser as you pump it. The foam transforms into a rich lather for washing. It works with your own body to help maintain a natural pH balance. Many women struggle with pH issues, which can lead to discomfort, pain and even doctor's visits. This makes it even more important to find healthier products to maintain natural pH. I like that this wash is infused with botanical extracts and that both scents — Mandarin Blossom and Coconut Water — are light and fresh. Also free of harsh chemicals, dyes, alcohol and parabens, these cleansing cloths are a great way to refresh during the day. They are lightly scented and work to maintain a natural pH in your body, even on the go. They offer these cloths in 24 count soft packs and as 14 count individually wrapped packets. Personally, I love the idea of individually wrapped cloths because you can toss them in your purse, gym bag or carry-on luggage as a quick way to refresh. The soft packs are great to store in your bathroom, office drawer, or anywhere else they may come in handy. The cloths come in Mandarin Blossom and Coconut Water scents, to match the foaming wash. If you want to try the Simply Summer's Eve products for yourself, you can use the Summer's Eve store locator or purchase them online. Check out their site for a full list of online retailers. Disclaimer: The products in the post were provided free of charge by Summer's Eve. As always, our posts are our own, honest opinions.